Corey Perrine was named the winner of the first Sports Shooter Portfolio Competition. 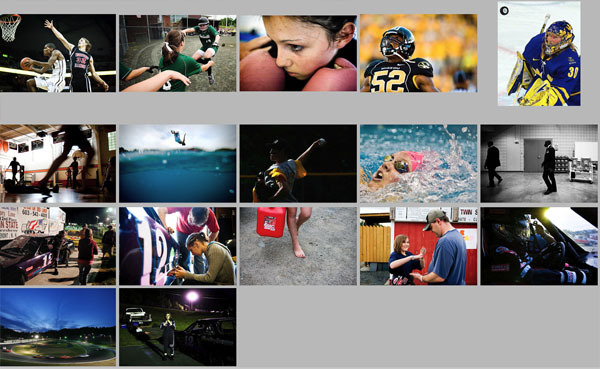 Corey Perrine and Patrick Fallon were named the winners of the first Sports Shooter Portfolio Competition. The portfolios of Perrine, on staff at the Augusta Chronicle and Fallon, a student at the University of Missouri, were selected out of 118 entries. 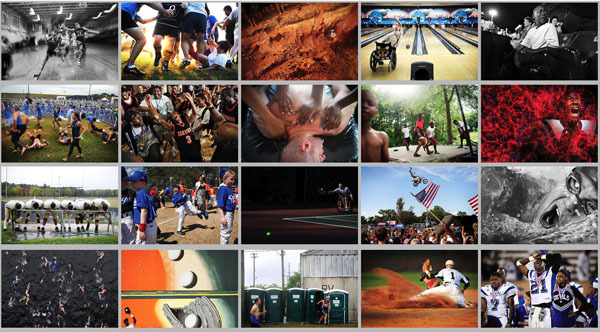 “I wanted to change up the Sports Shooter Annual Contest and thought the best way to select the top sports shooter was to judge them through a body of work,” said Robert Hanashiro. “We had a wide variety of work submitted. Images from youth sports all the way through the Winter Olympics were part of the portfolio entries,” said Hanashiro, the founder of Sports Shooter. For their winning entries Perrine and Fallon will receive Think Tank Airport International rolling camera bags. The finals of the judging were held at the Wilshire Theater on the campus of Fullerton College. The judges for the finals included: Michael Goulding and Paul Rodriguez from the Orange County Register; Mark Boster of the Los Angeles Times; and Southern California freelance photographer Matt Brown. Patrick Fallon was named the winner of the first Student Sports Shooter Portfolio Competition.